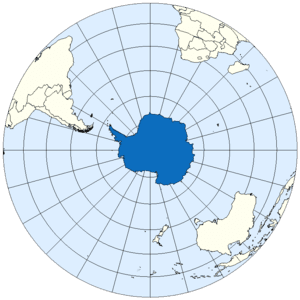 The Southern Ocean circles Antarctica and remains one of the most pristine and ecologically rich oceans on earth. Its richness has attracted a growing number of industrial fishing fleets, which are harvesting toothfish and krill, the tiny shrimplike creatures that are the foundation of the Antarctic’s marine life. Add to that a growing interest in the mineral resources of the Southern Ocean and you have the same kind of commercial pressure that is threatening the ecological balance of nearly every ocean on the planet. There is still time to reverse course. For the past week in Hobart, Tasmania, members of the Commission for the Conservation of Antarctic Marine Living Resources have been considering several proposals to create marine protected areas extending from the Antarctic continent well out to sea. Australia, France and the European Union have proposed setting aside some 733,000 square miles off East Antarctica. The United States and New Zealand have separately proposed a protected area in the Ross Sea, and Britain wants to protect any area where an ice shelf has collapsed. A coalition of some 30 environmental organizations supports expanding the protected area to create a ring of protected areas around the continent. What makes these negotiations difficult is the tension between conservation and extraction. The international agreement signed by member states of the Antarctic marine life commission is devoted to conservation, but its definition of conservation includes “rational use” of the Southern Ocean’s biological resources.